How is your company focusing digital and social media marketing efforts towards winning new customers and engaging those you have? How do you evaluate new social technologies for marketing and communications? Do you allocate time for testing, experimentation or go with the crowd? 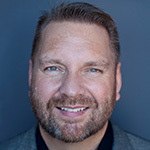 LO: This is Lee Odden from MarketingBlog.com at Online Marketing Summit in San Diego. 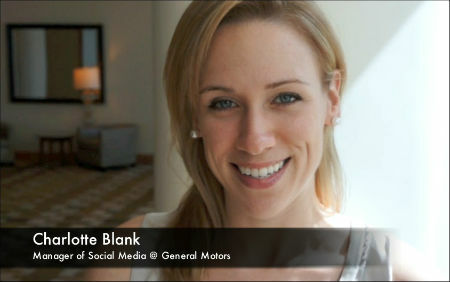 With me is Charlotte Blank, Manager of Social Media at General Motors. Welcome. CB: Hi Lee, Thank you. LO: So thanks for spending a couple of minutes with me to answer some key questions I think for digital marketers, big brands, small brands. One of the first questions I had for you is, in terms of your digital approach, how much of it is split between customer acquisition vs customer engagement and retention? CB: We definitely approach the consumer from a 360 degree angle. We try to keep the consumer at the center at all times in thinking about their journey from when they’re just kind of living their life 98% of the time to maybe thinking about making a car purchase a few months down the road to actually actively researching the car. I think social media in particular, plays a role in all of those areas of the funnel. Our own channels, like our Facebook pages and Twitter handles for example, we typically think of as an upper funnel play. There are really an opportunity to engage our consumers with their lifestyle passions. For example, music is a big pillar for Chevrolet and we offered early access to Spotify when that came out. That was a good integration with the millenials that we were targeting for the Sonic launch. That encouraged more engagement with our Facebook page. That would be an example of a lifestyle play that we use our own social media channels for. I also see social media playing a big role in the ownership and CRM space and that’s where I think I’ll be focusing a lot of my efforts this year. I think that there’s a big opportunity with turning our owners into advocates and giving them tools to light up their social graphs and really share with their friends how they love their GM vehicles. In that kind of middle area, more on the conversion question, we do have an entire group that has all kinds of sophisticated ways of knowing when someone is in market. Because we really want to be cognizant that we’re not flooding the market with our messages about “buy now, buy now” when really only 2% of people are in market at any given time. So we like to be very sophisticated in the way that we target those people with relevant messaging when they’re ready for it. There are still great opportunities for social to play a role there, especially in the influencer space. The ratings and recommendations – we work a lot with 3rd party sites like KBB and Edumunds – those are increasingly socializing. LO: Is there integration much from an editorial planning standpoint? Are you running social content calendars for example, that tie into buying cycle or customer segments? 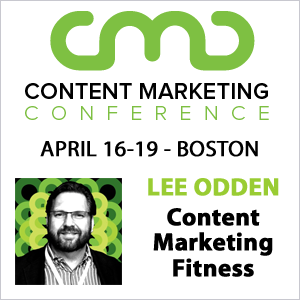 CB: We absolutely do use content calendars, mostly from a lifestyle engagement space. We do constantly measure and optimize the way that we’re resonating with consumers. We’re starting to find some real nuances depending on the name plate. So some of our more performance oriented vehicles, Camero fans, Corvette fans, Cadillac, they really like that awesome car content – great performance engine type of content that they just can’t get enough of. Whereas we’ll use some of our bigger brands, Cheverolet overall to connect more with young consumers based on a lifestyle play, a mom blogger relationship or ways to be more a part of every day life. LO: In the social media world, by the way I love that you used the word optimize, OptimizeBook.com is where you’ll see this video and information about a book called Optimize. In terms of this fast changing world we’re in, there are so many apps and channels for us to deal with, it’s almost information overload not only for consumers but for marketers deciding where it is that those consumers are spending their time. How do you decide when it comes to new digital marketing technology, to invest, where to experiement? CB: That’s a great question, that’s one of the things I talk most about in my job. It’s one of the most important things that we can do. It’s all about consumer insights and putting yourself in the shoes of the consumer you’re trying to reach. This varies by campaign, by name plate, by the tone that we want to have with our consumers. We need to define up front what are we trying to achieve and who are we trying to connect with? Put ourselves in their shoes using thorough research, data and insights. What is that these people like to do? Do they use the Pinterests of the world, are they big Tweeters, do they even click on online advertising? It depends on who we’re trying to reach. If you constantly put yourself in the consumers shoes, it can help avoid the “chasing shiny object syndrome”. LO: Right, some empathy towards what’s important and what they care about. If you’d like to share a Twitter handle, a blog or any other social destination for folks to find out about you and the work you’re doing? CB: You can follow me @charlotteblank and please like all our Facebook pages. We have 8 Chevrolet pages and one each for Cadillac, Buick and GMC. Social Media is definitely not Free. Most small companies don’t really understand yet – that Social Media is just one piece of the overall “Marketing” plan. However, Social Media is becoming an important piece of the Marketing pie – such as Advertising (getting the word out about a product brand, etc. ); Public Relations; Market Research; and Community Involvement are integral slices also. Therefore, budgeting for Social Media should be done just like budgeting for those flyers, email campaigns, community involvement, etc.